People, who feel called to enter into the occupation of nurse management, must possess strong leadership skills and must be able to delegate duties to large and small groups of nurses and nursing aids. Preparing for a career in nurse management consists of learning the major duties that a nurse manager must fulfill on a regular basis. These duties are widely varying and often involve very high levels of responsibility when it comes to patient care. Excellent communication skills, attention to detail, effective discipline, solid training abilities and superior case management skills are just a few traits that are desirable in a nurse manager. Following three simple tips to prepare for a career in nurse management can give an individual a head start and an edge to enter into this field with the proper tools to be successful. Because this type of occupation requires a high level of responsibility and because it can be extremely demanding, preparing as much as possible in advance will make entering into the profession as smooth of a transition as possible. 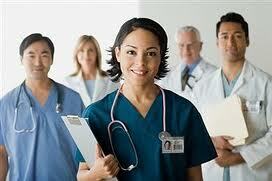 Assessing skills of nursing staff is one of the key duties that can lead to a successful career in nurse management. Skill assessment allows nurse managers to provide intensive training to new LPNs and RNs who need more hands-on and formal training in certain areas. This will be a process of developing a strong team that will work confidently with patients. Being able to create a case management plan for patients is also important, especially when it comes to long-term treatment for patients. Nurse managers, who work in intensive care wards, terminally ill centers and in assisted living and recovery centers need to be able to create management plans to ensure that quality patient care is delivered. Taking additional courses in case management and interning in areas where case management may be studied can be a big assistance to people who are aspiring to be a nurse manager. Being able to establish a good professional rapport with patients is essential to any nurse as well as any nurse manager. Nurse managers often make rounds to supervise patient care to ensure all of their needs are being met. Making rounds also helps nurse managers to identify if any changes need to be made to a patient’s treatment plan. During the process of making rounds, it is imperative that a nurse manager have a strong ability to establish a professional but friendly rapport with the patients. This will help patients to feel more comfortable to open up and talk freely about how they feel and how their recovery is going.